Yes, I know it’s not for another 10 days. 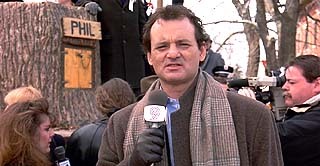 Groundhog Day with Bill Murray remains one of my favorite films. Maybe it’s because I spent a few years as a TV weatherman at the CBC and understand the vacuous, repetitive nature of the job, or perhaps it’s because of the film’s important message about occasionally applying some critical thinking to our perspective on life. The plot of the movie has our narcissistic weatherman, Phil Connors, off to Punxsutawney to cover the annual Groundhog Day goings on. He then finds himself locked in a time loop, forced to relive the same day over and over. Eventually our hero examines his priorities and makes changes. Re-examining the obvious is only marginally better than the previous government’s practice of stumbling over the obvious and deeming it a complete surprise. My question, what does this government still not understand about our population decline and lagging economic indicators? How many more studies are required? For more than 10 years, labour market experts have been calling for measures to deal with our declining labour force. I distinctly remember attending one of those facilitated “world cafe” type brainstorming exercises in 2004 at SMU dealing with exactly this issue. The principal take-away from that discussion? 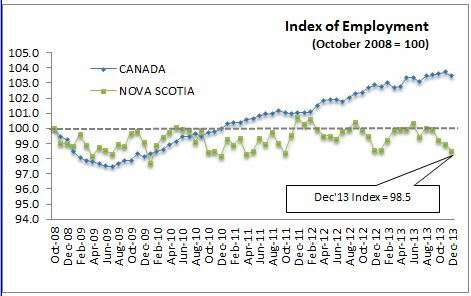 If Nova Scotia does not quickly address the declining population and labour force, any hope for an economic turnaround will evaporate. This isn’t rocket science. If jobs can’t be filled due to a lack of people, there isn’t much hope that businesses will choose to locate in Nova Scotia to grow and flourish. A declining private sector tax base is bad for everyone. Statistic Canada released its latest Labour Force Survey last week and hopefully the Premier and the folks at Finance are deeply concerned. While the Canadian picture is nothing to write home about, Nova Scotia’s outlook is downright bleak. In a recent piece in the Nova Scotia Business Journal’s by John Soossar, Premier Stephen McNeil outlined a “to do” list addressing our serious labour force, employment and economic issues. An emphasis on assisting existing Nova Scotia businesses both large and small. An examination of what government is doing to grow the economy and how things can be done differently to improve the outcome, including offering supports and incentives for small businesses through term loan guarantees. Tackling youth unemployment by acknowledging that young people want to go and experience other provinces “but ensuring we have something for them to come back to. These are all nice thoughts. But beyond the reference to the CETA there is absolutely nothing in this that we didn’t all didn’t wake up hearing 10 years ago. Immigration remains a problem because of broken fundamentals in this province. If someone is moving to Canada, they have a choice of where they want to live. Many are entrepreneurs and they will choose to go where they are most likely to succeed. Retention rates of immigrants in Nova Scotia during the 90’s were deplorable. Of the few that came, over half of them left. The numbers are a little better because of some government and community efforts in the past decade but the overall result still remains poor. As much as everyone should be pleased the Premier understands this, it’s not Nova Scotia residents that need to be sold on immigration, it’s the immigrants that need to be sold on Nova Scotia. Immigration can’t be fixed with messaging or government knob twiddling. The fundamentals must be addressed and addressed now. How many more “examinations” are necessary to have the completely obvious sink in? We pay among the highest personal income and corporate taxes in the country. We pay the highest consumption taxes in the country..
We pay the highest workers compensation premiums in the country. We have been paying the highest municipal tax hikes and service fees in the country. Immigration is only one small piece of this puzzle, the remainder of the Premier’s comments are extensions of a list of reasons not to move to Nova Scotia. Want to help small business and encourage people to move to here and invest? Try fixing the fundamentals first. They don’t need “examination”. They need fixing. Create an environment for entrepreneurship in this province and we’ll all be better off. S in revenues last year ? Immigrants probably bang their heads against the wall dealing with some of the ignorant people I. The province who seem to rise to the top in this province .